Bridgett Parris - KINDAH FOUNDATION, INC.
Ms. Parris is the CEO, President & Founder of Kindah Foundation, Inc., one of the leading 501(c)(3) in Florida advancing the cause for women with Gynecologic Cancer. Ms. Parris is very passionate about eradicating and breaking the silence on cervical and ovarian cancer. She is philanthropy driven and believes in giving back to her community and always ready to purposefully help those in need. Ms. Parris has owned and operated her own successful financial firm for over 16 years providing investment and financial counseling, business development, and debt management services. She is a strong advocate for women rights. She is determined to make sure the marginalized in the society have the same access and health equity, a necessity which Ms. Parris believes should be available to all, and that Gynecologic Cancer, Human Papillomavirus (HPV), and Polycystic Ovary Syndrome (PCOS) is treated as a public priority. Ms. Parris understands with diligence, discipline, focus, and self-sacrifice things are achieved. She is a graduate of the University of Houston-Victory with a Bachelor in Business Administration and in Healthcare Management, and she went on to pursue an MBA in Finance and in Public Health. Ms. Parris receives numerous accolades for her leadership and work in the community and aboard. 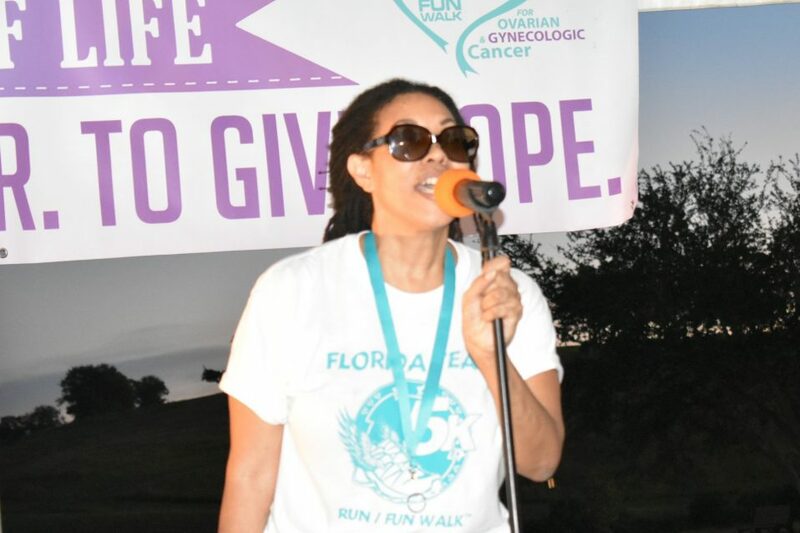 For the past 10 years, Ms. Parris continues to inspire others by dedicating her energy to helping raise awareness for early detection and prevention of ovarian and cervical cancer. She is a wonderful mother and a bless grandmother. Those who know her love her for warrior and survivor spirit “inspiring hope, empowering change”.